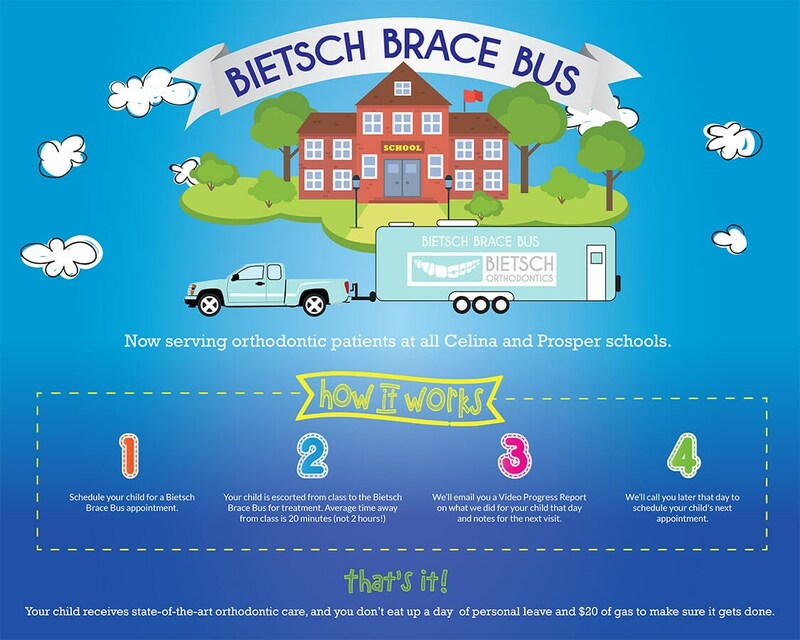 Bietsch Orthodontics offers a mobile orthodontic service to all schools in the Prosper, Celina, and gunter ISD. Dr. Bietsch's Brace Bus will come to your child's school every 6-8 weeks to see only Dr. Bietsch's patients for adjustment appointments. 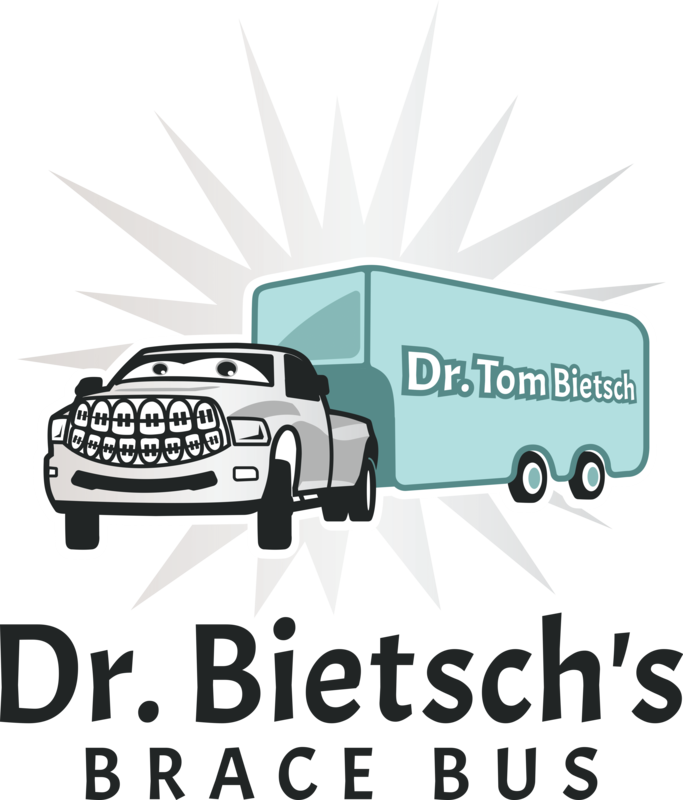 This reduces the amount of time students miss class for their orthodontic appointment by up to an hour by doing their appointment in Dr. Bietsch's self contained mobile office. Bietsch Orthodontics is so excited to offer this service to our patients and we look forward to expanding this service into the Mckinney ISD, Frisco ISD, and Denton ISD in 2019.